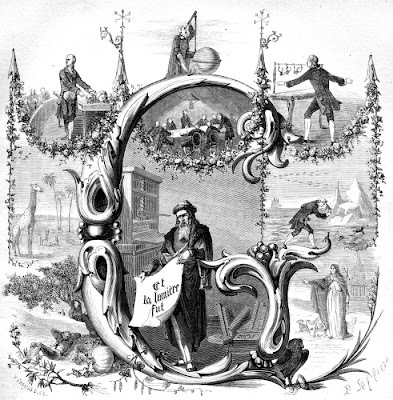 The first 7 ornamental lettrines (I continue to support our co-opting of this french word) are by Napoléon Landais from either his 'Dictionnaire Général et Grammatical des Dictionnaires Français' (1834) or his 'Petit Dictionnaire Français Portatif' (1840). 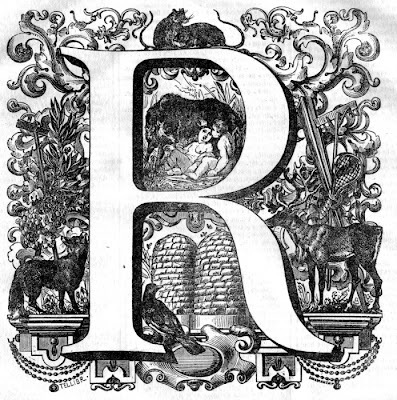 The last 3 lettrines are from 'Le Grand Dictionnaire Universel' (1865) by Pierre Larousse. 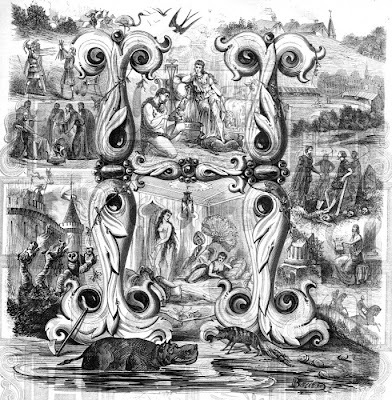 The Université Pierre-Mendès-France in Grenoble have a database called 'Art Dico' in which the iconographical elements of 19th century french dictionaries are collected. ADDIT Oct. 2012: the above link is dead and it appears the site has been moved to here: **Art Dico - illustrations ornamentales des dictionnaires**. 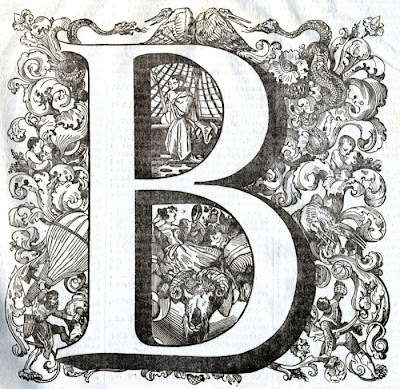 Actually, we are told that the images above are not really lettrines (illuminated letters); rather they are called iconophors - something of a neologism to describe an iconic letter together with surrounding pictures that start with that letter (apple = 'A' etc). There is a fair bit of english available and it's interesting to browse around - mouseover the website images to discover the name of each related picture. It's all easy. 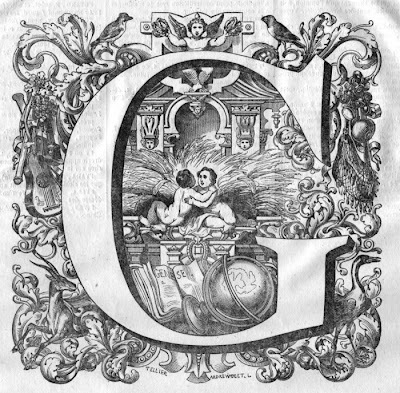 For instance, in one of the letter 'G' images above, you can see Gulliver and Galileo if you look hard enough. Some are more esoteric/french/difficult than others. To date they have 64 Dictionaries, 363 Ornaments and 1048 Items uploaded. "In the fifteenth century, the inception of printing changed the way text was reproduced and transmitted. 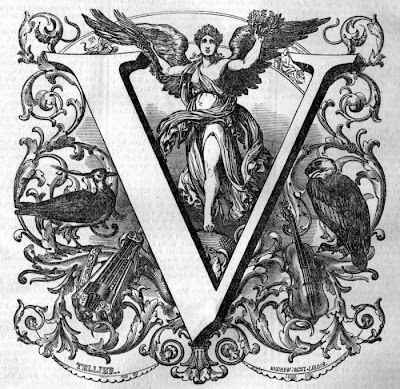 The old ornamentation, however, remained, though its original function as a means of glorifying the sacred word was progressively disappearing. 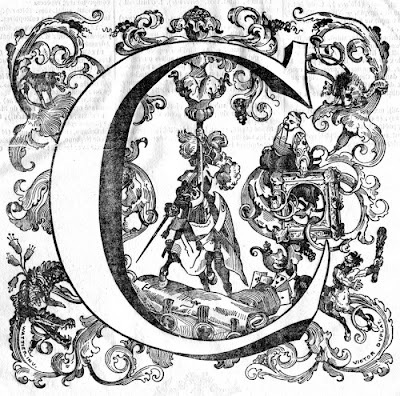 Late in the seventeenth century, a few French dictionaries began offering ornamentation embodying a particular encounter of letter and image: the initial-letter introducing the A section, combined the letter A and an illustration of some entity whose name starts with A. This was congruent with the old principle of giving the reader a glimpse, on the threshold, of what is to come." oh, pk, thanks! i lovelovelove these! 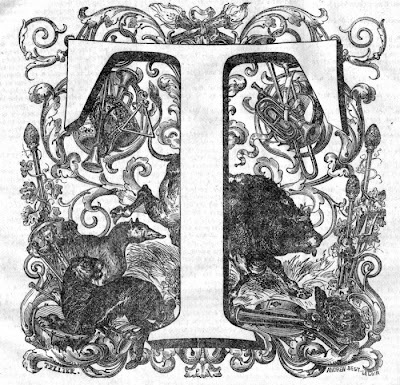 I like the phrase alpfabeto parlante (‘talking alphabet’) which I’ve seen used in connection with illustrated educational A-Zs (where A is depicted with an Apple, and so forth)—I suppose these could be considered as forming particularly loquacious talking alphabets. I guess this style of icon is so esoteric that no matter what you call it, you have to follow it with an explanation. I love these too, but I don't read French. I browsed and browsed but I need a capital M....any help? There's this one - if it allows direct linking. Hit the english flag top right then search by name under 'M'. I saw at least a couple of different ones. 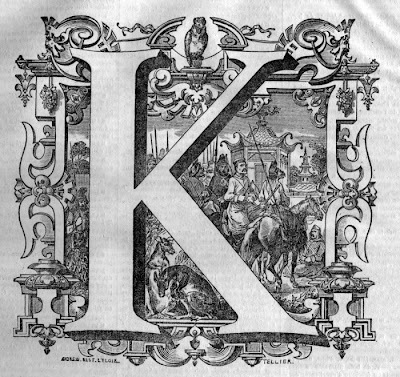 I am the person behind the dictionary iconography site you have been looking at and commenting on. First, I must say that it is really gratifying to see that people are looking at the site. Since I am its main (read ONLY!) worker, I would be grateful for suggestions and input from visitors. For the moment, I am proceeding in a more or less chronological fashion, and do not always put in the English language info as I go along. As for the names of the ornaments, the ones reproduced here would all be headpieces (bandeaux). 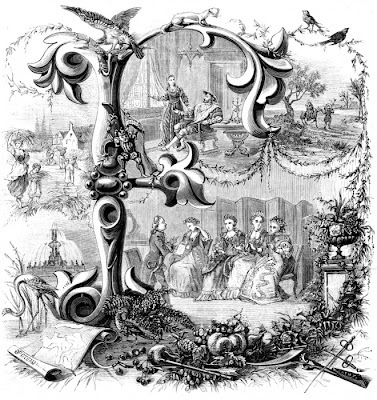 The word iconophor I coined to apply to each item whose presence in the ornament is based on its name starting with such and such a letter. I'm looking for a publisher for the English language version of the book ART DICO, that tells the story and history of iconophors in French dictionaries.